The entertainment show keeps strengthen during the afternoons of ‘El Nueve’ channel, along with the amazing duo of Rodrigo Lussich and Carla Conte. “CONFRONTADOS” was released on January 23rd, 2017 without interruption up to date. The team consolidated itself within the new grid of the channel, in which the live took center stage in its new programming bet. Two years later, Rodrigo and Carla are celebrating and launching the third season with their team of specialized panelists in the entertainment news, stories and gossip about film, music, and television celebrities. Andrea Politti ended the successful cycle with the phrase that the audience loved every afternoon “If it´s not love, it better be nothing”. “Eyes Wide Shut” launched on January 8th, 2018 with the intention of giving place to love during the summer. The acceptance of the audience resulted in the extension of the show until September 7th. 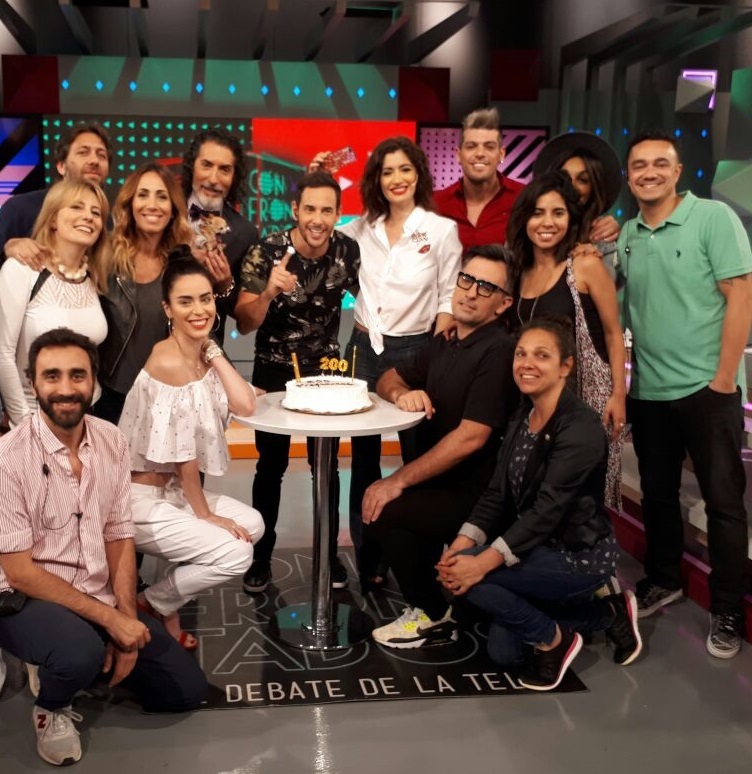 A show that returned to Argentine television a format which was almost forgotten, talk show, by the renowned and successful host Andrea Politti who says goodbye to the air exceeding audience expectations. With a total of 174 programs on the air, 178 couples were encouraged to confess their love, some melting into a deep kiss, others with the illusion of meeting again. “Eyes Wide Shut”, a production of Mandarina for eltrece (Channel 13). “The Why, everything has a reason” is an educational, scientific and cultural magazine with the main objective of educating and entertaining by constantly motivating curiosity and the desire to know. 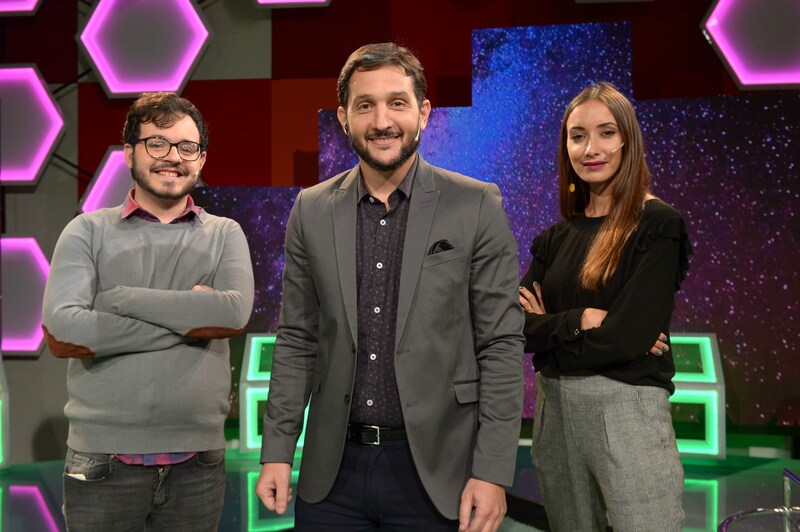 On Monday, May 14th, the program returned to the screen of the Television Pública Argentina and began a new season in which, in addition to revealing the infinite “Why” the spectrum was expanded and came into play the “When, How, Where and Why”. In the new season the questions were extended, the experts multiplied and the answers were guaranteed. Germán is accompanied by Carolina Di Nezio and Cristian Domínguez, who stand by him in the constant search for answers. All the content exposed in the program is supported by scientific advisors who analyze and check the information, always with a dynamic, entertaining and varied proposal. “What are museums for? and How is a work of art restored? These were the first questions raised by Germán Paoloski at the premiere, along with the participation of specialists in the field. Among them: Andrés Duprat, director of the Museum of Fine Arts, Alberto Alfaro on cultural heritage, and Orly Benzacar in the Ruth Benzacar Gallery, Pino Monkes, Bachelor of Visual Arts and restorer, and Daniel Molina, cultural critic. In addition, a new section was launched, “Making visible the invisible” in which he received the visit of biochemist Marcela Cedrola. “The Why, everything has a reason” won the 2017 TATO Award for best cultural program and was nominated for Martín Fierro as Best Cultural / Educational Program 2018. Under the production of Mandarina Televisión, “The Why, everything has a reason” is broadcasted from Monday to Friday, at 6 pm by the Televisión Pública Argentina. Last 8th of January was the debut of Eyes Wide Shut, a new program produced by Mandarina Television. In a new year without news in the argentinian television, Eyes Wide Shut appeared to raise the summer. With only two weeks in the air and surprising ratings, it has became in a classic in the daily afternoon. The finale phrase: “If it is not love, it is nothing” is settled in the all aged audience. Andrea Politti, the host, is one of the main pillars of the cycle. With wide experience in the talk show genre, she is the greatest climax builder where the contestants feel confortable to tell their stories. Politti is accompanied by a specialist panel who gives support to all the cases. It is composed by Paola Kullock (sexual guide), Gabriel Cartaña (psychologist) and Lucía Brizuela (astrologist). “Love is in the air”… And Eyes Wide Shut brings it to the audience. Each afternoon, a new chapter engages us. This format makes each episode a soap opera with an uncertain ending. It is not fiction, there are real people who confess their love to another person they had already known but had never had the courage to do so. In this commitment to love, the bandage that covers the eyes is the main actor: the honored person has his eyes covered until the end. During the TV show the participants carry out different games through which the value of the other senses increases: touch, hearing and even smell. In the end, the bandages are removed and if love is corresponded, there is a kiss on the mouth, if not, on the cheek. Will another love story be born? That is the question that keeps the audience pending until the last minute. The successful dating show is broadcasted from monday to friday at 16:45 by Channel 13, Argentina. 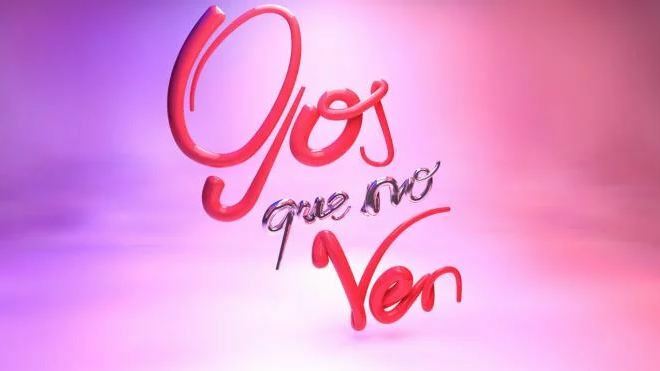 On Friday 27 October, the TV show presented by Rodrigo Lussich and Carla Conte reached 200 episodes on Channel 9. Produced by Mandarina Televisión, “Confrontados, el debate de la tele” started last January 23 and from the beginning it had its own style, with a different approach and treatment of topics, quickly positioning itself in the media. Later, it consolidates itself in the early afternoon time, within a highly competitive time slot between programs of the same kind. The presenters are accompanied by a team formed by Paula Varela, Franco Torchia, Guillermo Pardini, Mariela ‘Mimi’ Alvarado, Cristian U, César Juricich, and Priscila Crivocapich. ‘El debate de la tele’ analyzes the topics of the day together with first news, guests, and qualified information. 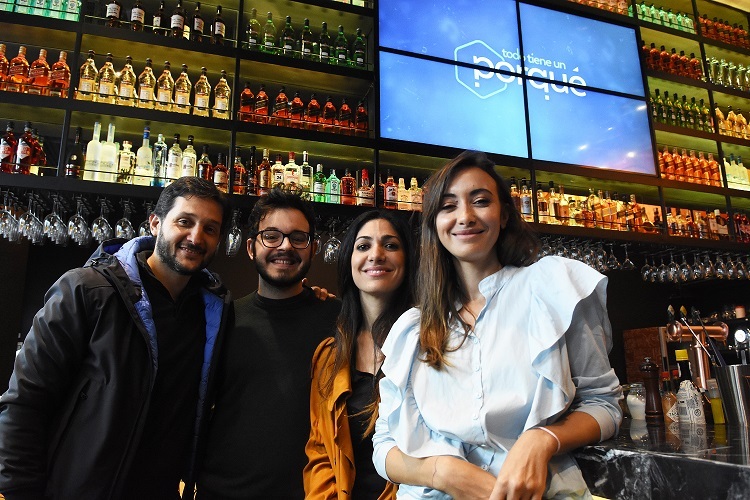 The educational, cultural and scientific show on the Argentine State-owned television network celebrated 100 episodes, and the team lead by Germán Paoloski gathered to celebrate the show’s good performance. The artistic cast — Carolina Di Nezio, Connie Ballarini and Cristian Domínguez —, as well as the show’s production crew, Mandarina Televisión executives, channel authorities, Executive Director Horacio Levin, and Art and Production Manager Martín Teitelbaum took part in the celebrations. The event was also covered by different audiovisual, graphic and digital media. The federal magazine consolidated at the 7 p.m. slot, being one of the station’s most-watched shows daily. It has a solid format for its official presentation in MIPCOM, the international entertainment content market, which will soon take place in Cannes. The aim of “Todo tiene un por qué” is to entertain, motivating the audience’s curiosity and their desire to learn more. Plus, it plays a social role and helps to raise awareness about current affairs. The presence of prominent personalities in the fields of culture, sports, science, and of all kinds of invited experts give “Todo tiene un por qué” an attractive and integrated format, generating content of general interest based on interviews, animations, experiments and debates. 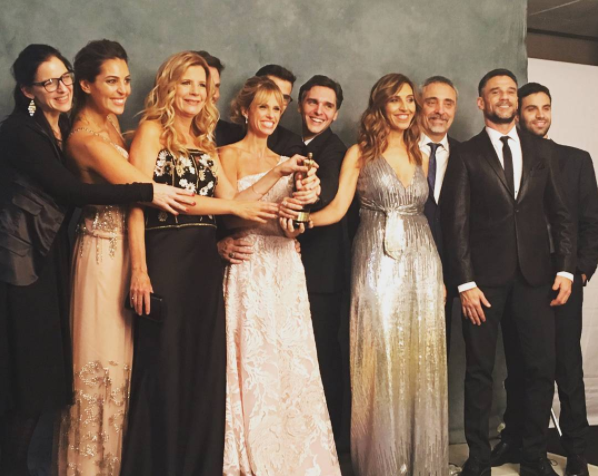 The successful TV show hosted by Mariana Fabbiani won for the second year in a row the Martin Fierro award for best magazine show on Argentine television, for the production performed in 2016. “DDM” has been on air for 5 seasons, leading afternoons with news, shows and entertainment. All political, social, economic and entertainment news are addressed with professionalism. This year, the news team accompanying Mariana is formed by Diego Leuco, Martín Ciccioli, Mercedes Ninci, Silvia Fernández Barrio, Luis Bremer, Fernando Cerolini, Karina Lavicoli, Noelia Antonelli, Lucas Bertero and Sebastián Perello. 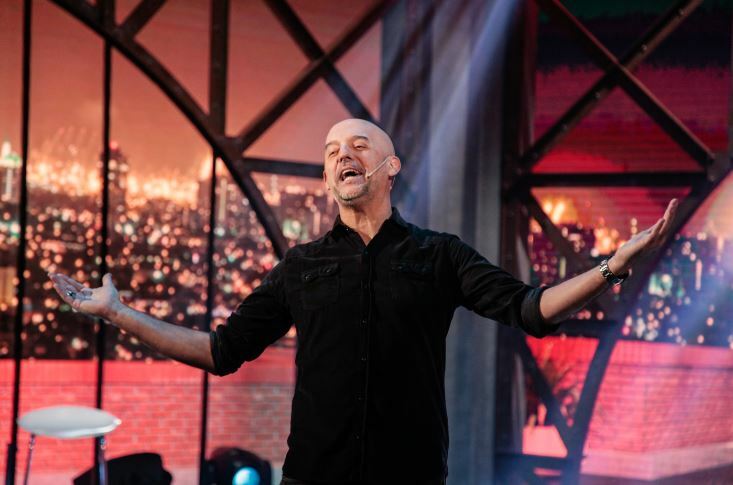 With an innovative format and special guests, Guillermo “the bald” López made his debut last Sunday on El Trece Channel, produced by Mandarina Televisión. By being the leader in its time slot, plus the audience’s immediate acceptance, and the approval of the specialized critics, the program demonstrated a big artistic effort including guests and an outstanding technical making. A modern living-room is the scenario where the presenter invites his guests -famous people from the TV/theater, music, and political environments- to share a pleasant and funny moment. And the doors of this space will give us access to different and unexpected experiences the presenter will have with each guest: it may be a geographical destination having a special meaning; going through a certain and unusual test; or revealing an unknown aspect of their daily life. Adrián Suar, Mariana Fabbiani, Paula Chaves, Pedro Alfonso, and Lizy Tagliani were the first guests in Mr. López’s house, in a unique meeting in which entertainment, humor, and surprises were the “agenda” of the day. In this case, the presenter travelled with Suar to New York, got inside Mariana’s dressing room, went to a couple therapy session with Paula and Peter, and travelled to Mar del Plata with Lizy. 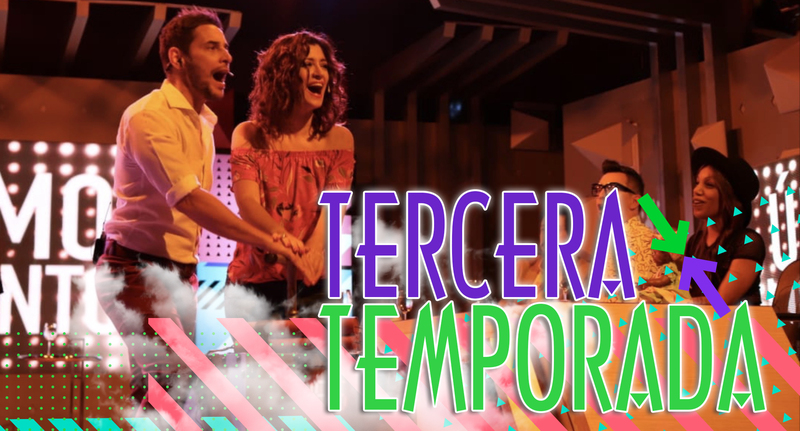 With this great weekly show, Mandarina Televisión manages to position in the prime time of Sundays in El Trece Channel, the leading channel regarding open TV audience in Argentina, reaching a total of 32 weekly hours on air among the 5 programs currently produced.